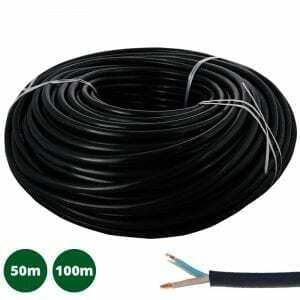 H05RR-F2 0.75mm² & 1.50mm² Rubber Cable is now available; ideal for use with Lumena 12V LED garden lights, transformers and junction boxes. 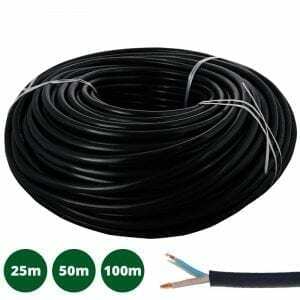 The extra flexible cable and rounded shape results in easy installation, fitting perfectly into connections and gromits of fittings and transformers etc. 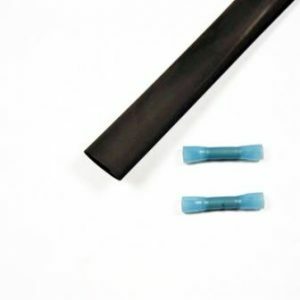 The conductor cables are individually insulated and then surrounded with a tough rubber sheath. Both sizes can be used underwater, although precautions should be made to ensure all connections are protected to IP68 if being used in this way. 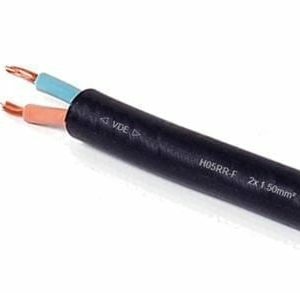 The smaller 0.75mm² 2 core cable is suitable for smaller runs of 12v cable, e.g. 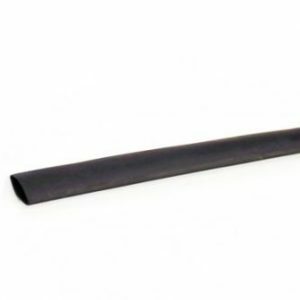 lighting decking areas, wheras the larger 1.50mm² can be used for longer runs of lights with heavier loads. 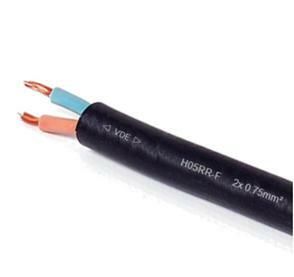 Although 1.50mm² cable can in theory be used for runs of up to approximately 260m when used with LEDs, dependant on the total wattage and how the lights are spaced, it is advised to keep runs as short as possible, with a transformer centrally situated. This is due to voltage reduction. If a cable run is too long, the fittings furthest away from the transformer / power are more likely to be affected by voltage reduction, resulting in dimmer lights which may flicker or even not work at all. By keeping cable runs short, and lights evenly spread, this can be avoided. All Lumena 12v lighting is either supplied or can be used with LED lamps. LEDs use a lot less energy than halogen equivalents, therefore slightly longer runs of cable can be used compared to the same total wattage of halogen lights, and larger cables of 2.5mm² or 4mm² are rarely required.